For this year's Nochebuena, I tried to invent a new recipe for the customary pork dish, which for Cubans is usually lechon asado. Sour orange juice (if you don't have it, they sell it at most Hispanic/Latino supermarkets, or just mix 50% lime juice with 50% orange juice). 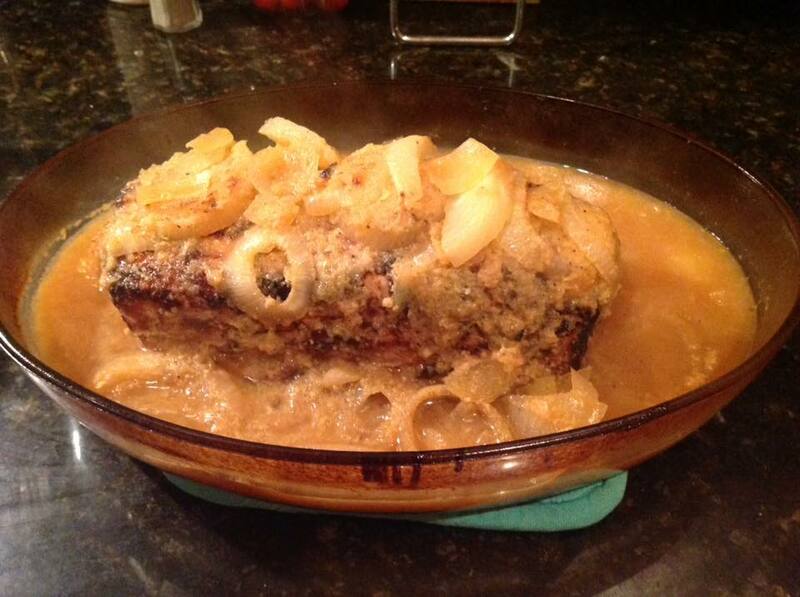 After 24 hours pull it out and stab it with a small knife and stick garlic cloves in the holes all over the loint. You can also stuff the holes with pitted olives. If you have a kitchen syringe, then inject some of the marinade juice all over the pork, and then return to the fridge for another night. On Nochebuena, preheat the oven to 425 degrees. While the oven is heating, pull the pork out of the marinade and brown all the sides and edges in really hot olive oil with a dash of salt and pepper in the oil. Make sure that the loin is "sealed" by the browning. Put the loin in a deep over dish and cover the loin with sliced onions and also add whatever veggies you want around it (carrots, onions, etc. ), then blend the marinade in a blender until it is all mixed and thickened and pour over the loin. Bake until it reaches and internal temperature of around 150 degrees - keep checking, as you don't want to over cook it. When it has reached an internal temperature of 150, pull it out and let it sit for 15 minutes or so. 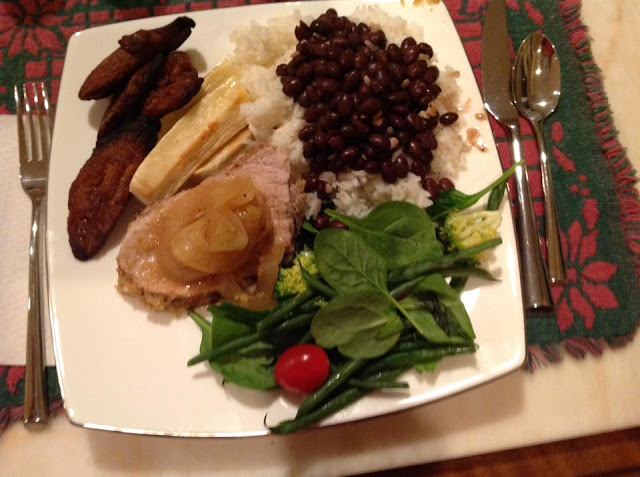 Then slice at a slight angle and serve with white rice, Cuban blacks beans, yuca con mojo, plantains, and salad, and you have a Cuban Nochebuena! I call it "Macho Guantanamero", as in Oriente province a pig and pork is called "macho", while in the rest of Cuba and most of the Spanish speaking world it is cerdo or lechon for pig/pork.